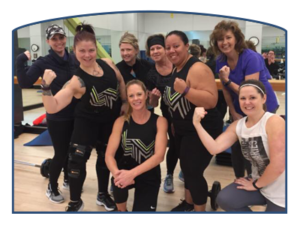 You invest in the health of our community when you make a gift to Culpeper Wellness Foundation, the non-profit that operates Powell Wellness Center, the Free Clinic of Culpeper, and Culpeper Sport and Fitness. We all know the importance of good health and the impact it has on our lives – all day, every day. But not everyone has access to the information, recreational or fitness activities and medical care that they need to make their health a priority. By partnering together we can change that. When you donate to Culpeper Wellness Foundation, you may choose to have your gift support free medical care for uninsured adults in Culpeper, fitness scholarships for low income children and adults, or the greatest area of need in our three counties. You may also choose to work with the Foundation to fund programs or services that reflect a special area of interest – something near and dear to your heart. Give us a call, we’d love to talk about how you can make a difference in the health and wellness of this place we call home. Contributions may be designated in memory or honor of a friend or loved one. The family of the deceased or the person honored will be notified of such gifts. Gifts may also be made in celebration of special occasions such as a wedding, anniversary, birthday, or holiday. Planned gifts often provide an opportunity to have a greater impact and leave a legacy that reflects those things that matter most. The Culpeper Wellness Foundation staff can help you decide which type of gift is right for you. A Bequest As part of your estate plan, you can specify a gift to the Culpeper Wellness Foundation in your will or trust. Life insurance You can name the Foundation as a beneficiary of a life insurance plan. Retirement plans Leaving assets from a retirement plan to support charitable causes prevents double taxation of those funds. A charitable giving plan that leaves other assets to heirs and retirement plan assets to charity can maximize both tax benefits and charitable impact. Charitable Remainder Trusts You can make a plan to support the causes you care about in the future while you and/or other beneficiaries receive an income stream for life or a fixed number of years. Charitable Gift Annuities You can arrange for a future gift to help Culpeper communities while receiving a fixed income stream for life. Your interest in supporting the health of our community is very much appreciated. Please call the Culpeper Wellness Foundation at 540.431.2397 if you have any questions about giving. The Culpeper Wellness Foundation is a 501(c)(3) non-profit organization. Donations are tax deductible to the full extent allowed by law.